Hey guys! So I wanted to share our AMAZING night that we had at Disney World! 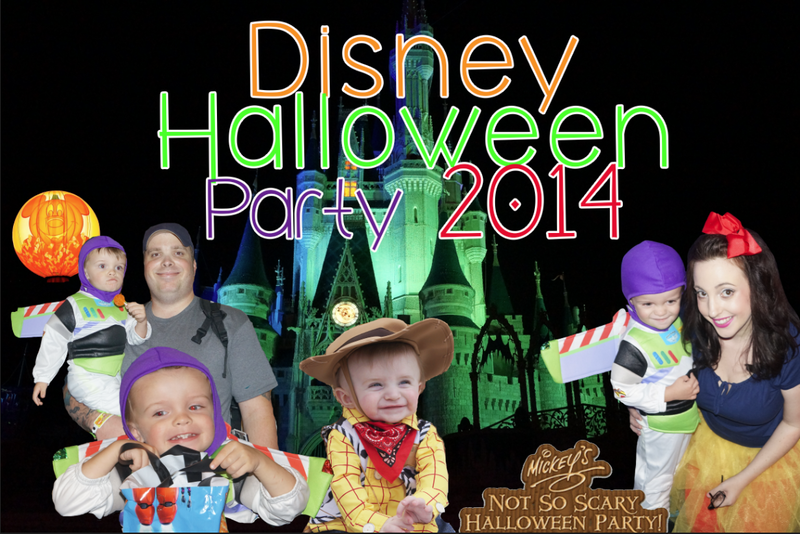 Drew and I took Andrew to the Mickey’s Not So Scary Halloween Party. Last year we went to the mall, but he almost got mowed down by some older kids so we thought this would be a fun and safe alternative. I knew we would have fun but this was one the BEST experiences I’ve ever had! We all had SO much fun, especially Andrew! He took a nap on the way there (about an hour since we stopped for some Publix subs to eat on the way over). I woke him up and we made our way into the park. We didn’t get there until around 9pm since we left late (trying to get Aidan all comfy with our cousin who was babysitting for us), but it was plenty of time! We saw an AMAZING show of music, lights, and fireworks at Cinderella’s Castle. Then, we went on some rides, went trick-or-treating around the park and got a TON of candy (which Andrew LOVED), watched the parade, and went to a FUN dance party with the Monster’s Inc. crew. We stayed until the end of the event and even as we headed back to the parking lot, Andrew was asking for more fireworks, more candy, and more rides. So fun. We will definitely be back again next year with Aidan. Then, we had to get some cute Halloween photos of our boys in their Toy Story costumes together! Cutest Buzz and Woody ever! Love these boys!